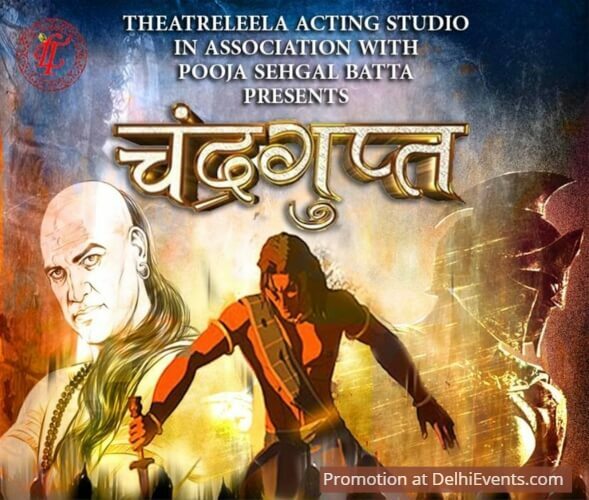 Event Description : THEATRE : TheatreLeela Acting Studio presents "Chandragupta" Hindi Play. Chandragupta is a play which shows the journey of Chandragupta Maurya from a commoner to the king of Magadh. It also shows how Chanakya used his mind and Chandragupta's strength to defeat the Greeks and fulfil his desire to make India a united nation. It tells the story of politics, diplomacy, revenge, hatred, conspiracy, sacrifice and love for the nation.